One of my favorite classics of all time is North & South by Elizabeth Gaskell. I have also read her Wives & Daughters, but I didn’t like it nearly as much. They were both made into wonderful BBC mini-series as well, so if you don’t read the books I at least recommend watching them! The book is a social novel that tries to show the industrial North and its conflicts in the mid-19th century as seen by an outsider, a socially sensitive lady from the South. The heroine of the story, Margaret Hale, is the daughter of a Nonconformist minister who moves to the fictional industrial town of Milton after leaving the Church of England. The town is modeled after Manchester, where Gaskell lived as the wife of a Unitarian minister. Gaskell herself worked among the poor and knew at first hand the misery of the industrial areas (Source:Goodreads). Think Pride and Prejudice is as good as it gets? Think you can’t dream up a better romantic hero than Mr. Darcy? Wrong! 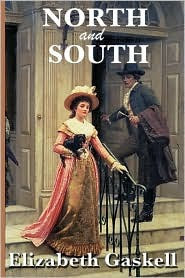 Immediately read North & South, and understand why I would prefer Mr. Thornton over cranky Mr. Darcy any day of the week. He is a gentleman through and through, and his never-ceasing kindnesses toward Margaret should be enough to make anyone fall in love with his character. 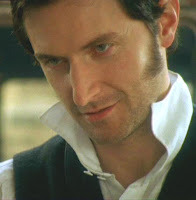 Also, being able to picture him as Richard Armitage (as in the BBC production of this story) doesn’t hurt. Austen is better at the witty social commentary, I’ll give her that. But, to replace that, Gaskell adds in a dash of Charles Dickens in her portrayal of the battle between the mill owners and the working class. It adds a real depth and interest to the story. Mr. Thornton is a manager of a mill, and even though Margaret Hale is involved with his family socially, she becomes close to the working family of Nicholas Higgins. She sees both sides of the ongoing struggle and eventual strike, and her views change quite a bit as she matures and the book progresses. For that matter, so do Mr. Thornton’s. When you pick up North & South by Elizabeth Gaskell, you will quickly become wrapped up in the story. The class struggles will engage you just as quickly as the Margaret/Thornton interactions. Although many people disagree with me that it beats Pride & Prejudice, there is still something for everyone to be found in the plot!